The NVVM seeks to remember, interpret and relate the experience of the veterans of the Vietnam War and the enduring impact of the war on society. The Museum was initiated and created by volunteers. Now largely also run by volunteers it is home to a huge collection of artifacts, both large and small, interpreted with information, imagery and audio (using our fantastic InfoWand devices and touch screens). It will keep you, your family and friends engaged for the length of your visit. ‘Our museum talks to you’. Starting with the holographic Light and Sound Show, this helps visitors understand the significance of Australian military involvement by outlining the causes and consequences of the conflict. You can then investigate this era by seeing it through the eyes of Vietnam veterans. 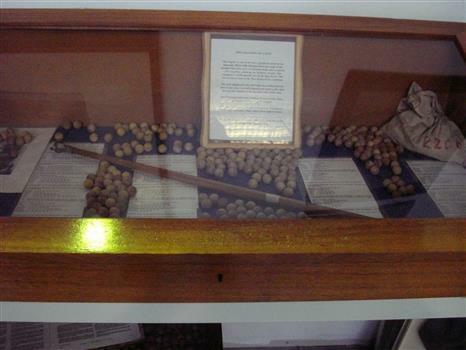 At NVVM you will see the conscription ballot balls used in the system of National Service that divided our nation. You will walk beneath and around such key vehicles as helicopters, a tank, even a bomber used in Vietnam. See yourself in the boots of a Tunnel Rat or the helmet of a Chopper Pilot. Endlessly fascinating and absorbing, no matter what age group. Expect the unexpected. Allow a minimum 1.5 hours for your visit. Nui Dat Café is open 7 days a week for scrumptious light refreshments and beverages. •	Guided tours are available for groups and schools, please contact the museum directly. •	Easy Access Facility - All visitors are able to access our museum and are able to view all of our exhibits. •	We are wheelchair accessible and have disabled facilities available. We also have wheelchairs and walkers available for use. Open every day from 10am - 5pm including weekends. Closed on Good Friday, Christmas Eve, Christmas Day, Boxing Day and New Year’s Day. The Museum is dedicated to the preservation and presentation of the history of all Vietnam veterans in Australia's longest war - the Vietnam War from 1962 to 1972. The collection is of historic significance because it records not only Australia's commitment to the war in Vietnam but the subsequent emotional impact on Vietnam veterans. It provides veterans and their families with a permanent spiritual home. It also provides information to the general public and the education of future generations. A heavily armed ground attack helicopter used by the U.S. Army in Vietnam to support Australian & U.S. army ground operations. 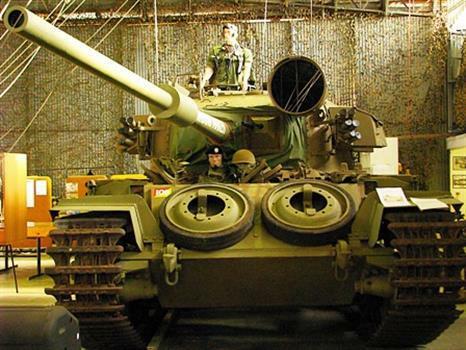 In addition to the M197 three barreled 20mm gatling gun, it carried eight anti-armour missiles and forty eight 2.75mm unguided air to ground rockets. This particular aircraft served in Vietnam from 1968 until 1971 and was damaged twice in combat. The aircraft is currently finished in a low visibility all-over mid green which includes the full US Army insignia and carries the Serial No. 0-15092. The Bell 47 is a two-bladed, single engine light observation helicopter made by Bell Helicopters. The Bell Sioux was used as one of the primary equipment of the 161 Reconnaissance flight. Every major Australian unit in Vietnam would have utilised their services. This helicopter includes a full set of Australian Army insignia and carries the A.A. Serial No. A1-406. 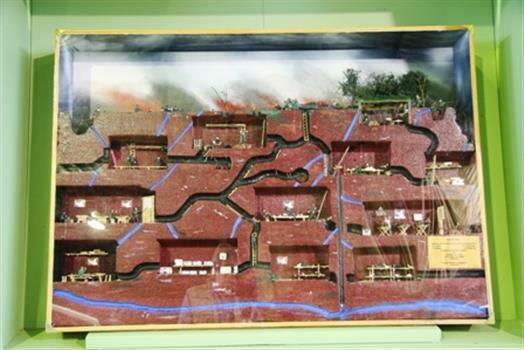 A diorama of the tunnel network used by the Vietcong during the Vietnam War. There were hundreds of kilometres of tunnels and the Vietcong used them for living and sleeping quarters, hospitals, arms factories and storage depots. 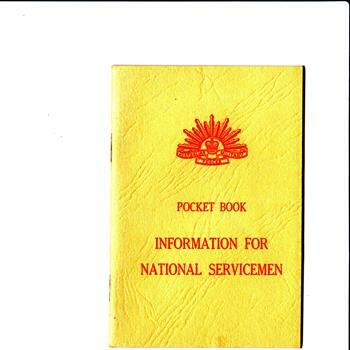 This soft-covered yellow pocket book is an example of those issued to all National Servicemen sent to Vietnam. Thirty-six pages long, this 3rd edition was published in June 1969 by the Commonwealth of Australia. Contents cover general information such as an overview of the organisation of the Army; details about training, transfers and conditions of service; guidance about military courtesy, dress, writing home and badges of rank. Part of the Neil Ernest Swainston Collection, a set of National Service Documents from call-up notice to Certificate of Discharge. Pocket books such as this were in use for the entire Vietnam War. This is an example of the documentation provided to all conscripted soldiers. Document printed on pink background outlining the rules for appropriate conduct of all members of the Australian Army serving in Vietnam. Issued to all Australian servicemen in Vietnam, the rules reflect the war's diplomatic significance for the Australian government. 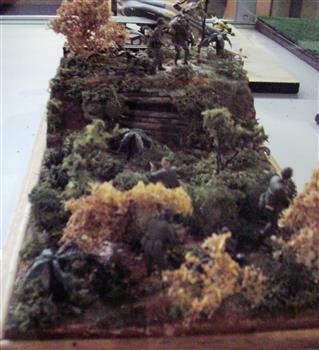 A diorama of the U.S. 29th Infantry taking fire near a bunker complex near the Cambodian border. This is a diorama of the U.S. 29th infantry taking fire near a bunker complex near the Cambodian border during the Vietnam War. The cabinet contains the stick and some of the marbles that were used in selecting birth dates to decide who would be called up for National Service from 1965 to 1972. Between 1965 & 1972, twenty-year-old Australian males had to register for National Service. The ballot was held twice a year and the marbles, which bear numbers that represented birth dates, were used in a barrel to determine who would be called up. The stick was pushed into the barrel and whichever ball lodged in the head of the stick was drawn. Men born on that date were thereby called up for National Service. National Service was a hotly debated issue. These ballot balls were the items at the centre of the argument. The peace movement in Australia was opposed not only to Australia's involvement in the Vietnam War, but also to conscription of young men into national Service. Bought by Phil Rogers, Australian Army no. 2790936 during his time of service in South Vietnam (1969-1970) to celebrate the birth of his son. Donated to the museum by the serviceman himself. This commemorative jacket demonstrates the poignant personal sacrifices made by those in service as significant family events continue at home in their absence. 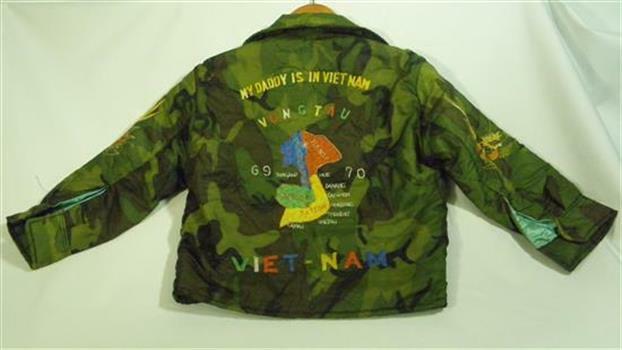 Back: My daddy is in Vietnam. Vung Tau, 69-70, Viet Nam plus a labelled map of Vietnam. Sleeves: Golden dragons Front: Tiger's head, Crossed South Vietnam flag and USA flag. This tank carried a crew of four - a Commander, Gunner, Loader and driver. It was powered by a Rolls Royce V12 Meteor petrol engine and it had a top speed of about 34 kph. It had a 5 speed crash box transmission and drum brakes. There was a twenty pounder main gun and two machine guns. This tank has been fitted with items that were used in Vietnam as well as the items carried by crews for their own comfort. These items cover the four tours by Centurion MBT in Vietnam - C Sqn, B Sqn, A Sqn & C Sqn, who served two tours. Most tanks also carried several stretches, mainly for use of the infantry. Cupro-nickel Australian Defence Medal plus miniature of same, attached to red and white striped ribbons with black edges to represent the colours of the Flanders poppy, symbol of the Anzac spirit. Three red stripes signify Army, Air Force, Navy. Striped ribbon bar with pins forms part of set. Covering letter addressed to N E Swainston, dated '27 April 2011'. The information card about symbolism of medal and original hard black case complete the set. Front shows Commonwealth Coat of Arms surrounded by the words 'THE AUSTRALIAN DEFENCE MEDAL'. Reverse bears "FOR SERVICE' plus Crown of St Edward within a wattle wreath. From the Swainston Collection, a set of documents and medals from a National Serviceman. The Australian Defence Medal recognises Australian Defence Force personnel who have completed either an enlistment period or four years service after 3 September 1945. 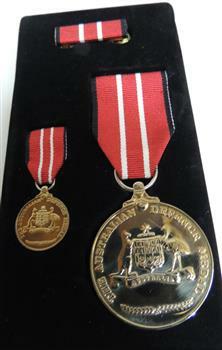 This is an example of the Australian Defence Medal for which all Vietnam veterans were eligible. '3801127 N E SWAINSTON' engraved around bottom edge of large medal. 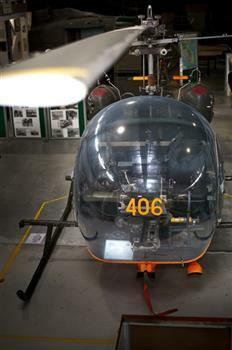 Manufactured in Britain from a USA design, the Wessex was jet powered (Napier Gazelle), a multi-role helicopter used in air sea rescue, anti-submarine, ambulance, troop and freight carrying. Dependent on the mission profile, the aircraft carried a crew from three to five including two pilots. 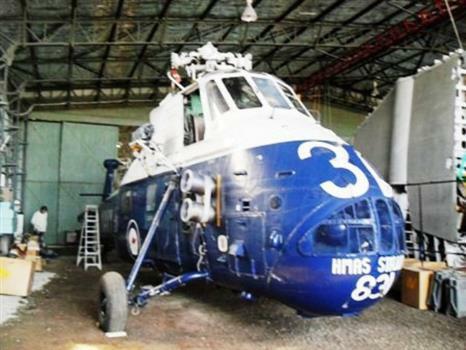 The Wessex was used between 1964 and 1984 by the Australian Navy in Australia and Oceania. Includes a full set of Royal Australian Navy insignia and carries the Serial No. N7-221 and Navy Side No. 31. The Canberra is a first-generation jet-powered light bomber which could fly at a higher altitude than previous bombers. It was Australia's first jet bomber. The plane is undergoing restoration at the museum. Between 1951 and 1956 the Canberra Bomber was used for high altitude, high speed, tactical research. It was flown consistently for twenty years by the RAAF and was used in the Indonesian confrontation and the Vietnam War. 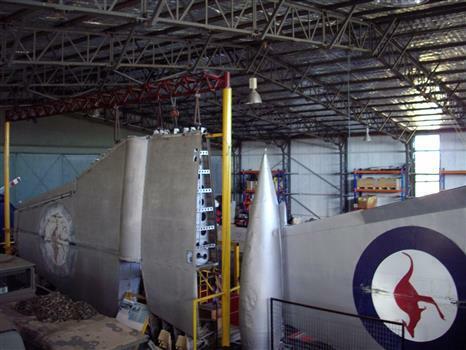 The bomber being restored is the oldest surviving complete Canberra. This plane flew continually from 1951—1973 and was used in both Malaya and Vietnam. It is one of three bombers bought from England before production began at the Government Aircraft Factory at Fisherman's Bend. The plane has the oldest known Rolls Royce Avon engine, being serial number 2.